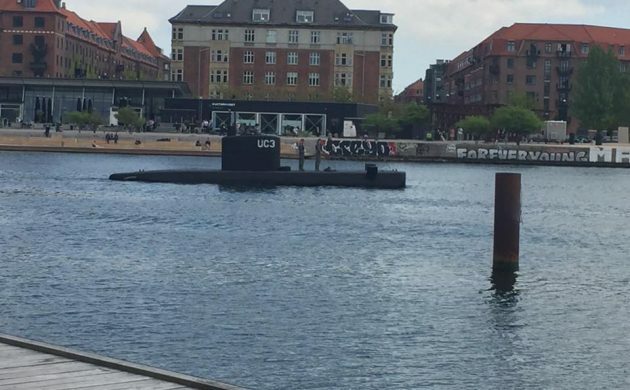 There were once again no testimonies during Day 10 of the Peter Madsen trial, which was moved to Courtroom 41 at Copenhagen City Court due to security issues surrounding another case. For a second day, the documentation process continued, as the prosecution continued to pile up evidence in its bid to prove that the submariner is guilty of the premeditated murder of Swedish journalist Kim Wall. But while the prosecutor has a strong case regarding Madsen’s planning – the court was again reminded that an Australian film team has footage of the submariner’s saw hanging up in his lab on the day that Wall died – the nature of her death is less clear. For example, was she stabbed before her death, or afterwards in a bid to release the air from her body parts so they were less likely to float to the surface? The defence tried to score points off the autoposy of Wall’s head being carried out almost two months after her death – on October 6, the very same day it was found at the bottom of the Øresund. Perhaps the defence was nervous, as it was with the head that the prosecution sought to prove Wall was probably stabbed before her death. The head was placed in two bags, and Madsen claims he stabbed the head once it was in place through the bags. But do the holes match the wounds? The prosecution didn’t think so. Also detailed were the contents of a bag mostly containing Wall’s possessions: a red-orange blouse, a skirt, part of a strap, cable pieces, four buckles, part of a knife, a piece of bra, a piece of stocking, various pieces of toilet paper, a nylon cord attached to a knot, several keychain parts and a pair of Nike Air shoes. Madsen certainly wouldn’t have any qualms about puncturing Wall’s detached body parts. “A deceased body deserves no special respect,” he said during his mental examination at the Retsmedicinsk Clinic, which the court listened to extracts from. Reflecting on his life during the examination, Madsen broke out into “a big smile”, saying that he was “proud of a good life” with “many sexual conquests and business successes”. Family members don’t share that view. Madsen had been hoping his ex-wife would be made to testify on Thursday, but a medical note excused her on the grounds of ‘lovligt forfald’ – valid excuse. But it wasn’t all bad news for the submariner: the memory card on his digital camera has never been recovered, with the prosecutor alleging that Madsen through it overboard after filming his torture of Wall. Technically, unless the documentation continues when the court reconvenes on April 23, as it was abruptly stopped by the judge at 16:00, this was the final day of evidence. Next up are the closing arguments of the prosecution and defence, with the judgement scheduled two days later on April 25.